Four years after Amazon initially launched the Echo smart speaker and the Alexa voice assistant, Alexa continues to gain new capabilities, add skills by the tens of thousands, and work with a growing multitude of third-party devices, now numbering in the thousands. The Alexa team highlighted 2018’s developments including support for additional languages, new partnerships, and a growing emphasis on visual features in a blog post by Toni Reid, Amazon’s vice president of Alexa experience. This was a busy year for Alexa and the Amazon’s Echo devices. Amazon doesn’t reveal unit sales, but reports that both the number of customers who engage with Alexa on a daily basis and who own more than one Echo device doubled in 2018. In addition to the U.S., Amazon now sells Echo devices in Canada, the U.K., Australia, New Zealand, France, Italy, Spain, and Mexico. Alexa picked up new languages along the way, including the ability to converse in the Spanish variations used in Spain and Mexico. When Alexa begins speaking in a new country, language isn’t the only issue. Alexa’s mastery of local cultural factors in the launch date in a new country including, for example, major sports teams, entertainers, and destinations. 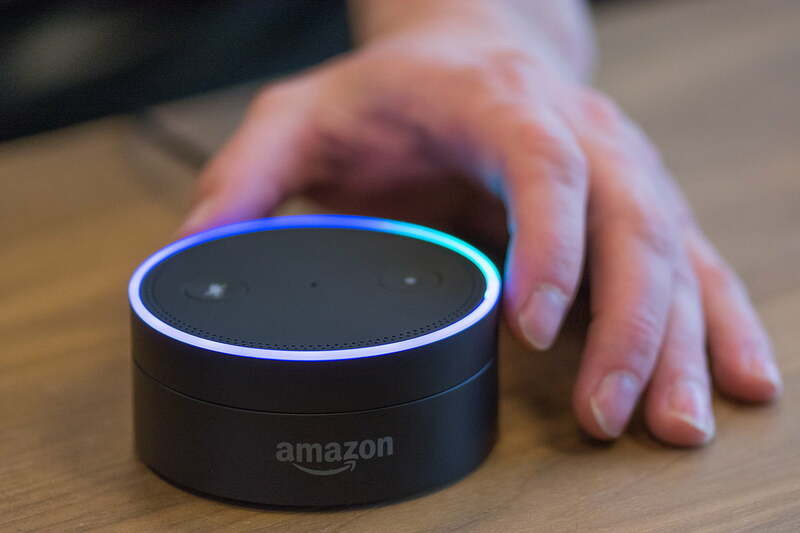 During the year, Amazon introduced more than a dozen new Alexa devices, ranging from new generations of the Echo Dot, Echo Plus, and Echo Show, Echo and Fire table Kids Editions, and new device categories such as the Amazon Microwave and Clock. Amazon is working with Audi, BMW, Ford, Lincoln, Lexus, SEAT, and Toyota for future in-vehicle Alexa presence. Moving out of the home, Amazon now supports Alexa for Business and Alexa for Hospitality. There are now more than 70,000 certified Alexa skills from third-party developers. Amazon reports that more than 4,500 brands now sell 28,000-plus Alexa-compatible smart home devices, a six-fold increase since the end of 2017. Amazon takes parent-like pride in announcing Alexa “added billions of additional data points so she can answer even more of your questions,” Reid wrote. The recently announced Alexa Answers, still in beta testing, soon will open the gates to customer contributions of new knowledge and data points. Alexa’s visual communications capabilities grew in 2018. Companies such as Sony and Lenovo now build Alexa-compatible devices with screens, and Amazon introduced a new version of the Echo Show, added hands-free Alexa communication to new Fire Tablets, and expanded Alexa’s TV connections with the Fire TV Cube. Also, just in time for the holidays, Amazon announced that you can now make Skype audio and video calls with Alexa devices. Video calls are supported with the Echo Show, Echo Spot, and Amazon Fire Tablets that support Show Mode. The lists of Alexa device interactions and content go on and on. Additional significant advances in 2018 include features to enhance listening to music, partnering with Jimmy Fallon to contribute jokes to the 100 million Alexa has already told, and kid-friendly content. Other new capabilities such as Alexa Routines, Alexa Announcements, Apple Music and Microsoft Cortana support, and Alexa’s step-by-step visual cooking features add to the potential depth and richness when owners engage with Alexa.